When Yukon did not declare a team, the spot was allocated to the host province. As the runner-up at the Saskatchewan Junior Women’s Provincial, Ackerman, along with teammates Madison Johnson at third, second Chantel Hoag, lead Samantha McLaren and coach Patrick Ackerman, won the right to don the Host team uniform. 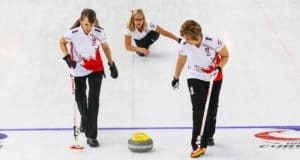 While the Ackerman women have not gotten off to the start they had hoped for, dropping their first three games, including a last rock 10-9 loss to Ontario’s Thea Coburn, the team is focusing on the bigger picture. Though the wins are not coming through yet, they’re taking every opportunity to learn and are putting it all into perspective. “We’re improving each game and getting some extra experience on arena ice which is always good,” said Ackerman. This is the second national championship experience for the Moose Jaw-based team, as they competed in the 2018 U-18 Canadian Championships in Saint Andrews, New Brunswick. That experience has been invaluable for the young team. What’s the key to the team’s longevity and success thus far? 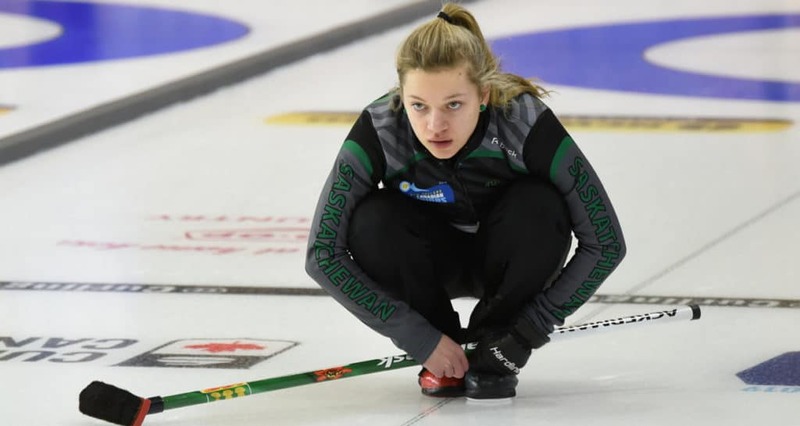 Also in action tonight on the women’s side, Saskatchewan’s Sara England improves to 2-1 with a 7-3 win over Lauren Ferguson’s team from Cornwall, P.E.I. Ferguson continues to search for a win in the competition. 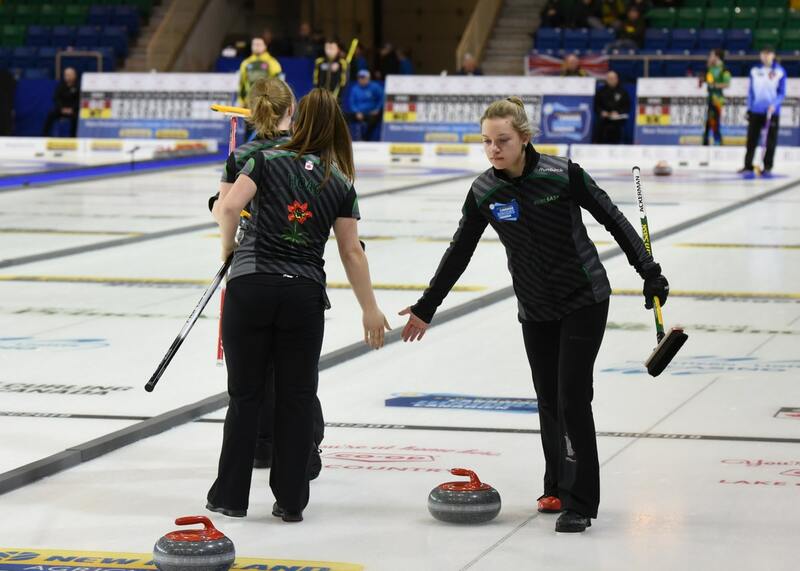 Team Alberta skipped by Selena Sturmay posted an 8-3 win over Sarah Daniels from North Delta, British Columbia. 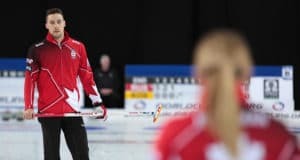 In Draw 6 action on the men’s side, two-time Canadian Junior champion Tyler Tardi and his British Columbia squad captured their third win of the competition over Saskatchewan’s Rylan Kleiter. Tonight’s live-streamed feature game saw New Brunswick’s Jack Smeltzer put on a dominant performance defeating two-time Canadian Junior silver-medallist Tanner Horgan 11-7. The Quebec men skipped by Vincent Roberge picked up their first win over Northwest Territories’ Sawer Kaeser. Manitoba’s JT Ryan picked up a 7-3 win over P.E.I.’s Tyler Smith. Ryan moves to 3-0 while Smith drops to 1-2. Team Yukon, skipped by Trygg Jensen, picked up its first win of the tournament over Javen Komaksiutiksak from Iqualuit, Nunavut. 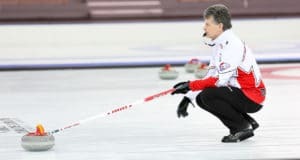 Action continues at the 2019 New Holland Canadian Juniors with draws on Monday at 9 a.m., 2 p.m. and 7 p.m. (all times Central).